Easy to use and simple to adjust it can be set up by the operator in just a few minutes. It allows for the perfect closure of the box by adhesive tape. Manually adjustable with top and bottom drive – our biggest seller! 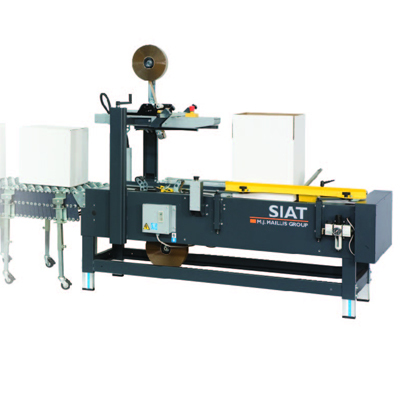 Semi-automatic case sealer with manual adjustment and self centering lateral guides. Easy to use and simple to adjust it can be set up by the operator in just a few minutes. It allows for the perfect closure of the box by adhesive tape. reliable taping unit K11. 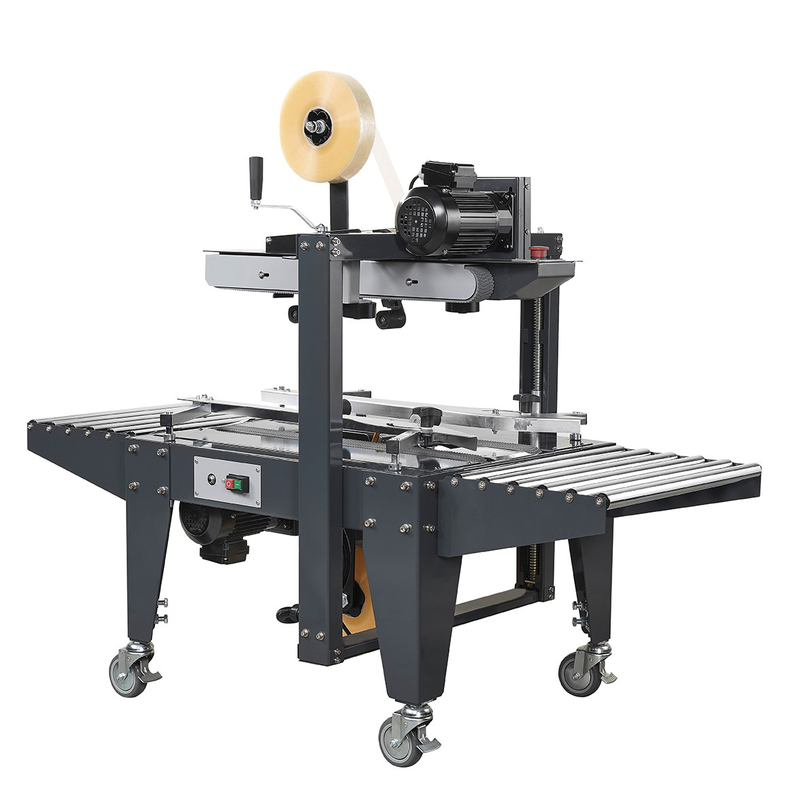 With its double side drive belts and supplied in the S8/4 format this machine is the perfect sealing solution for small boxes. 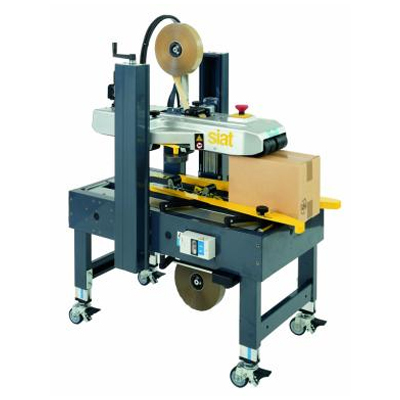 Semi-automatic; easy to adjust and comes complete with flap compression rollers for perfect box closer. Semi-automatic random size case sealer. The operator folds the top flaps and pushes the box into the machine. The machine then adjusts itself to the size of the box and proceeds to complete its cycle by simultaneously sealing the top and bottom of the case. 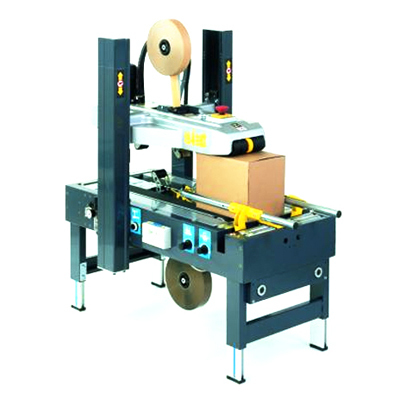 Case sealing machine with manual adjustment to the box size but automatic flap closure and sealing. 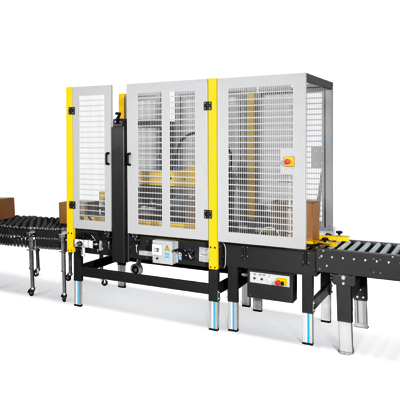 Ideal for the high speed sealing of uniform box sizes. Can incorporate an ink jet printer for batch coding and identification. 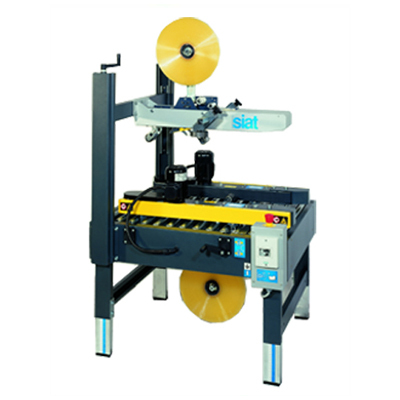 A semi-automatic carton sealer & erector with manual adjustment and self centering lateral guides. The machine closes the bottom flaps and holds the box secure.